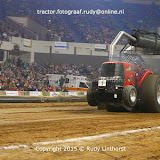 Prague, 26 February 2015 – At SIMA Mitas are launching tractor-pulling tyre Powerpull 30.5L-32 for competition and worldwide sales. 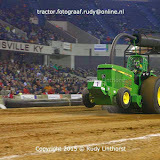 It is manufactured as a slick tyre without a tread pattern, allowing the competitor to create the winning tread design. 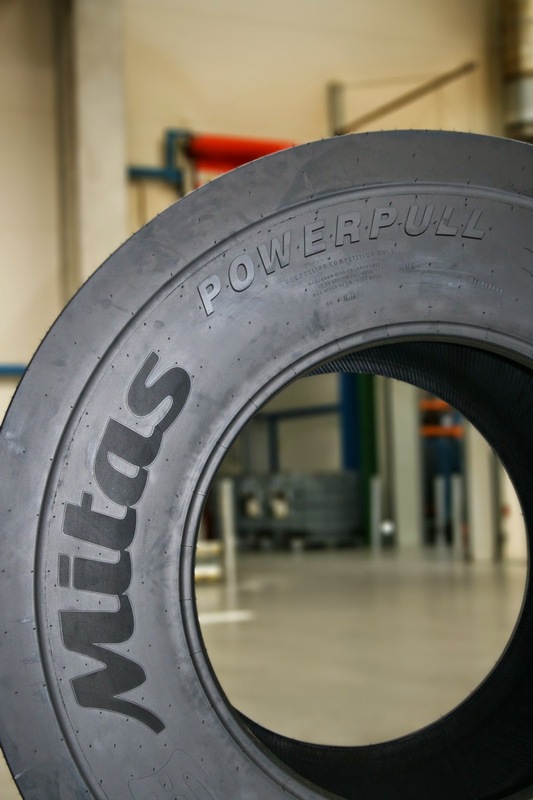 The bias-ply construction and manufacturing of Mitas Powerpull 30.5L-32 is based on a process similar to that of the Mitas’ high-horsepower tractor tyres. This will guarantee endurance and durability. 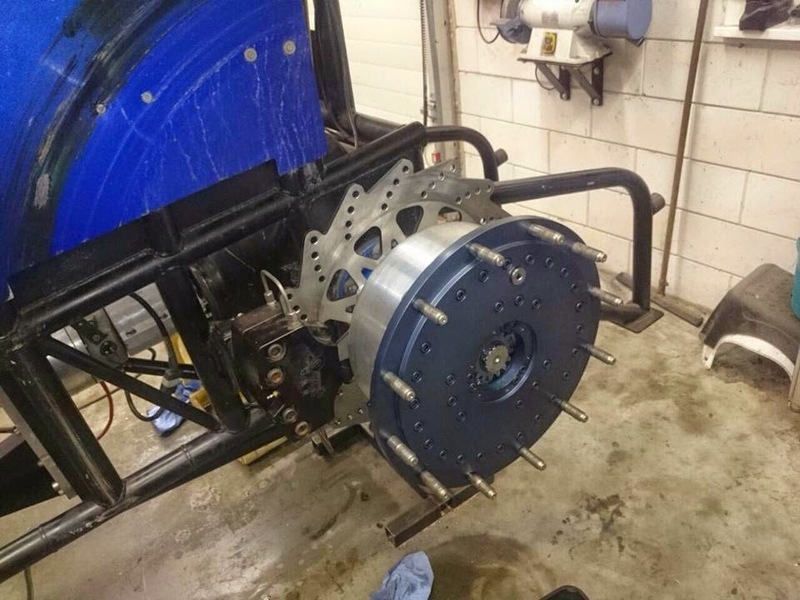 Mitas spent several months of in-house research and development designing Powerpull tyre. 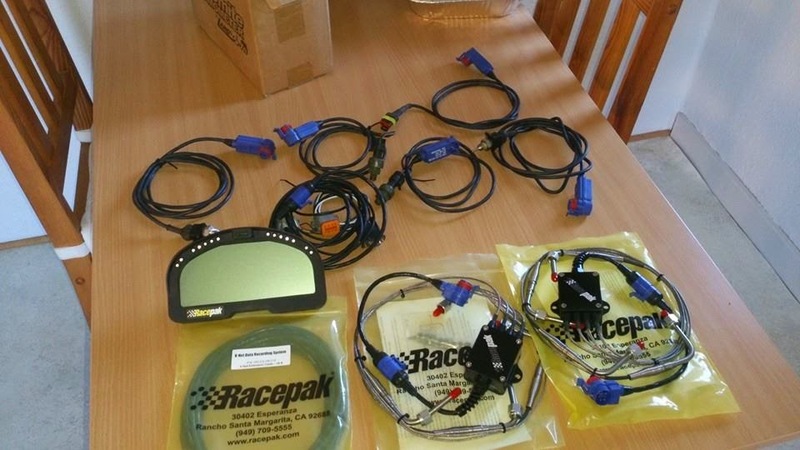 First prototypes were cured at Mitas' new factory in Otrokovice, Czech Republic and released for laboratory testing in April 2014. 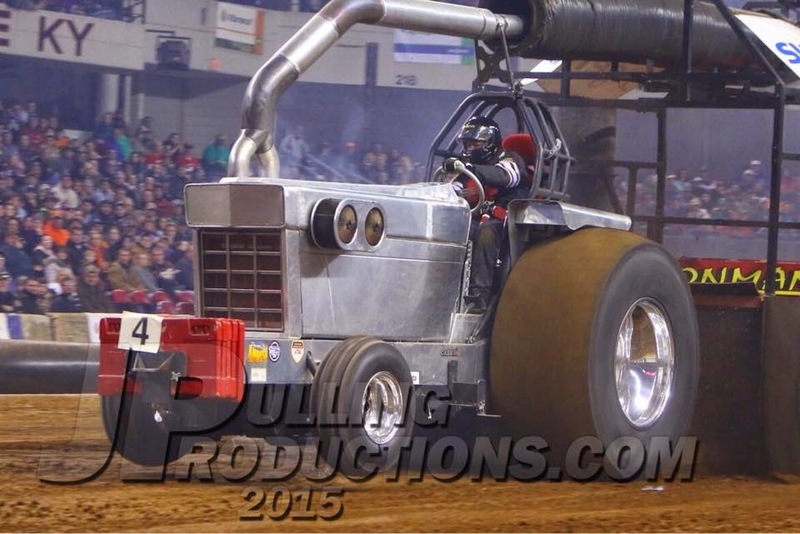 Based on discussions with pullers Mitas Powerpull is designed as a slick tyre so that customers and racing teams can cut their own unique treads. 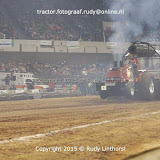 Mitas actively supports tractor-pulling events. 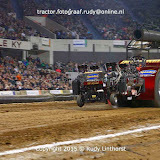 In Europe Mitas is the official partner of the European Tractor Pulling Committee (ETPC), supporting all Eurocup pulls. Mitas has recently prolonged sponsorship agreement with ETPC for Eurocup 2015 season. 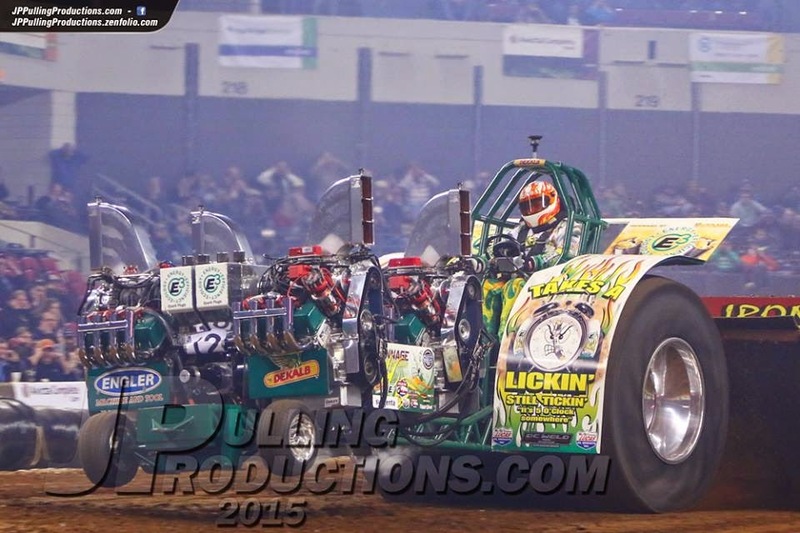 In U.S. Mitas sponsored in 2014 National Tractor Pullers Association (NTPA) pulling events and also pulls from the Lucas Oil Pro Pulling League. 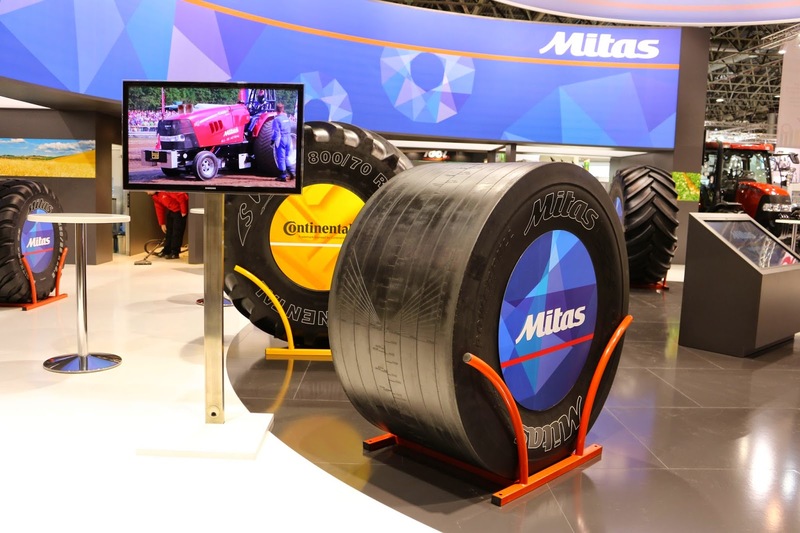 MITAS a.s is one of Europe’s leading producers of agricultural tyres. 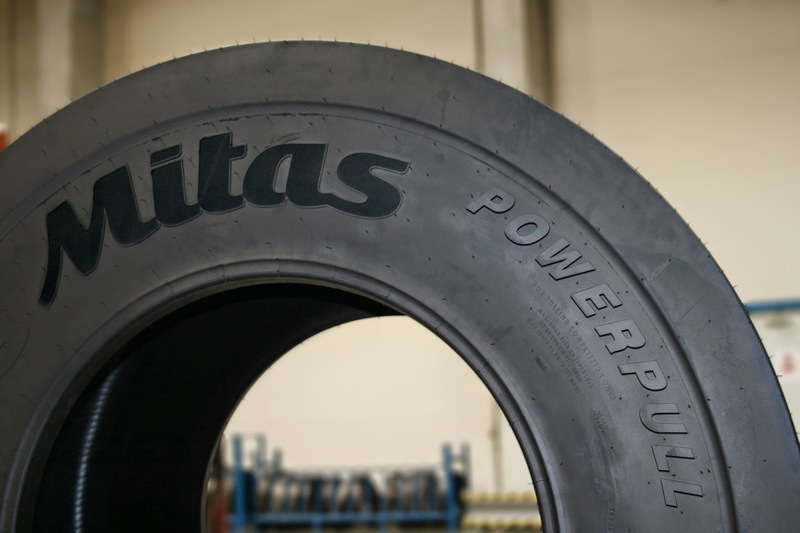 Mitas manufactures and sells tyres under three brand names: the company’s own Mitas and Cultor, and Continental under licence. In addition, MITAS a.s. produces and distributes a wide range of Mitas-branded industrial and motorcycle tyres. MITAS a.s. is a member of ČGS HOLDING a.s. and operates three production plants in the Czech Republic, one in Serbia and one in the USA, and maintains a global sales and distribution network. 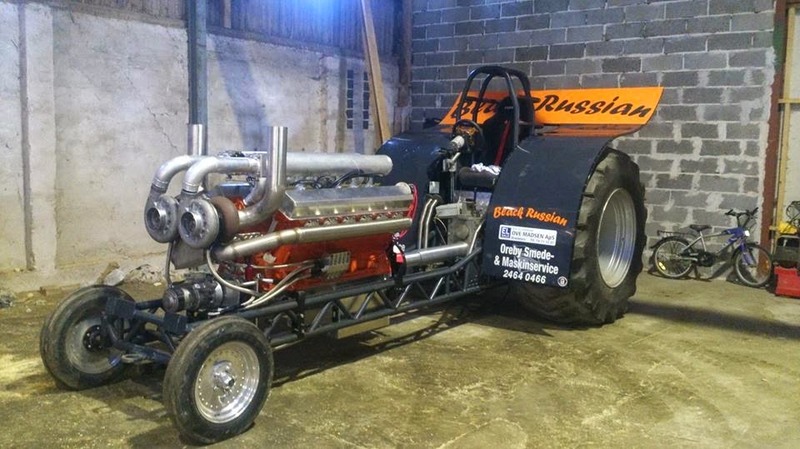 The danish modified tractor called ,,Black Russian´´ gets some changes at the moment. 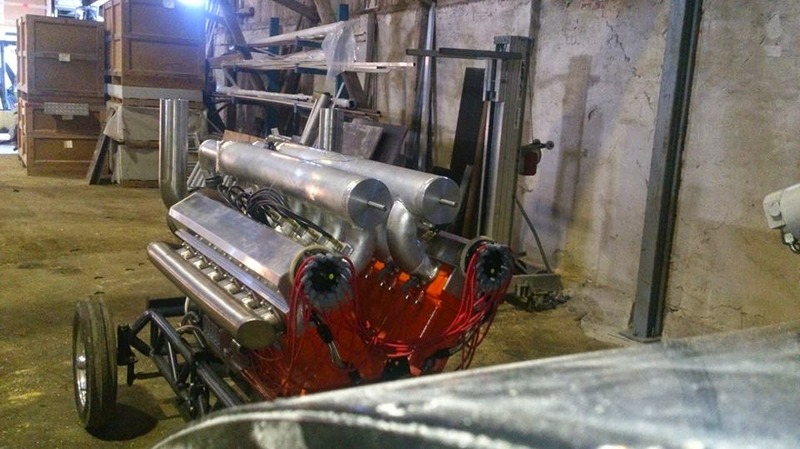 The team from denmark makes the switch from diesel fuel to methanol. 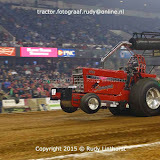 So, the Transmash V12 engine of the modified tractor gets a MSD 8 Plus ignition with dual spark plugs (like the same as Herman Staal´s Transmash V12 engine on Another Russian Invader), a VSP (Willem Veldhuizen) methanol injection system, a Racepak data logger and new homemade intake and exhaust manifolds. 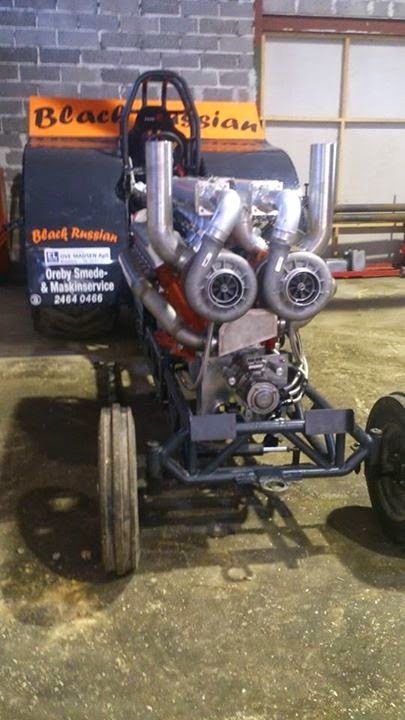 The intake manifolds are made from aluminium pipes and the exhaust manifolds are made from steel pipes. 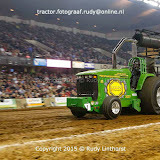 The frame of the tractor is an old Fox tube frame. 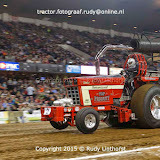 The gearbox and the rear end were built by the Hvilsom Pulling Team (Big Mama, Elkaer Metal Boy & Herbie) from Denmark. 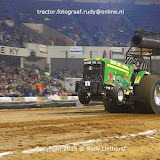 The Team will compete in the 3.5t mod division in the Danish Championship this year. Please take this minute of time to vote for Joey Frasur, one of the best newcomers in the TWD class! 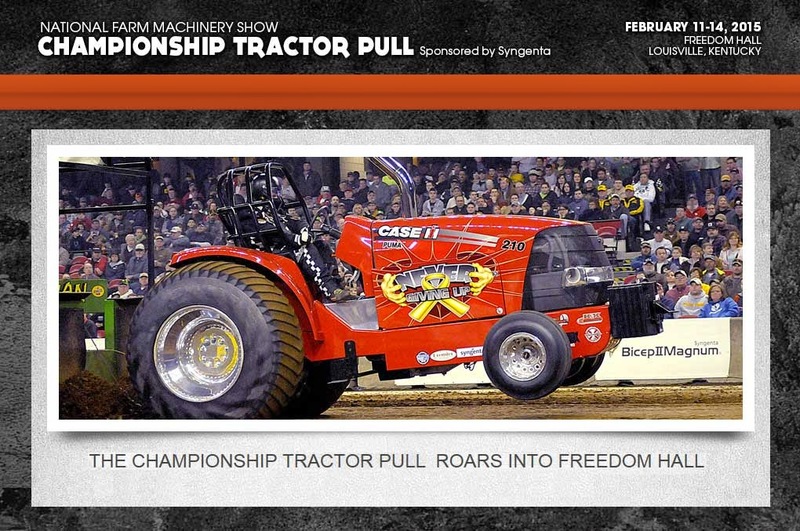 This is one of the ew occasions, we can show the strong fan base of Truck & Tractor Pulling! 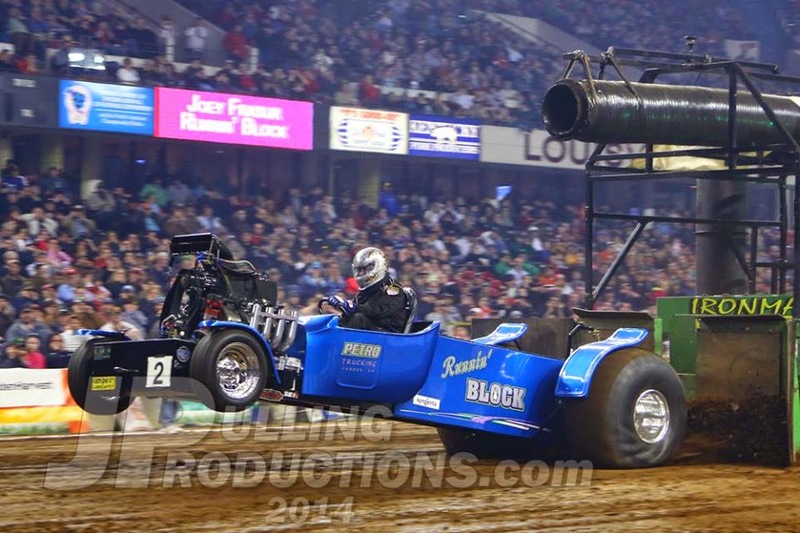 get registered and help him win a major sponsorship and make Champion Spark Plugs aware of us! 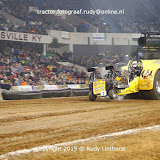 Bram Kools from Cadzand in the Netherlands, had a bad luck at the NFMS Pull 2015 in Louisville, Kentucky. 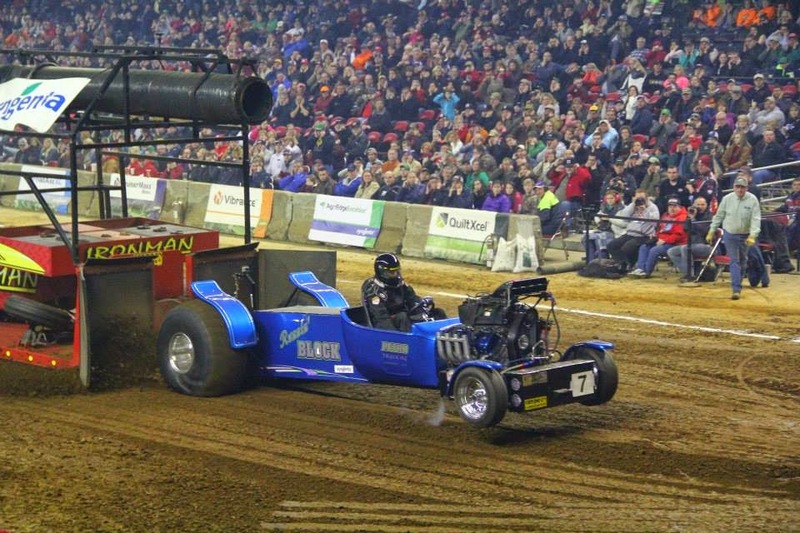 The reigning Euro Cup Champion of the year 2014 had a good start with his Case IH Puma, but after 130 feet ended his run with a big bang under the hood. 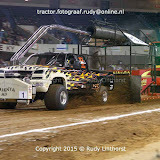 The result was a broken crankshaft and a disappointing 13th place, with only 135feet.We hope, the Interaction Team has more luck on the Dutch and European tracks this year ! 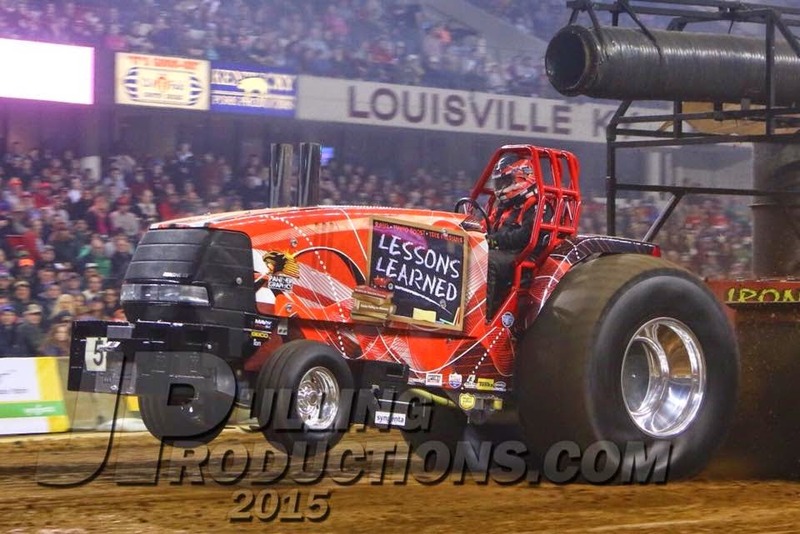 The new Thunder Pulling 10 DVD is out ! 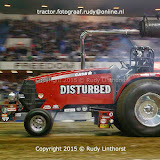 For only Euro 19,90 plus postage you get this new dvd and tractor pulling entertainment in your livingroom on your widescreen TV. Enjoy it!!!! 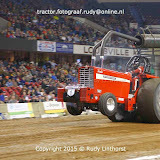 The Roude Leiw Pulling Team from Luxembourg are the DTTO Puller of the year 2014 ! 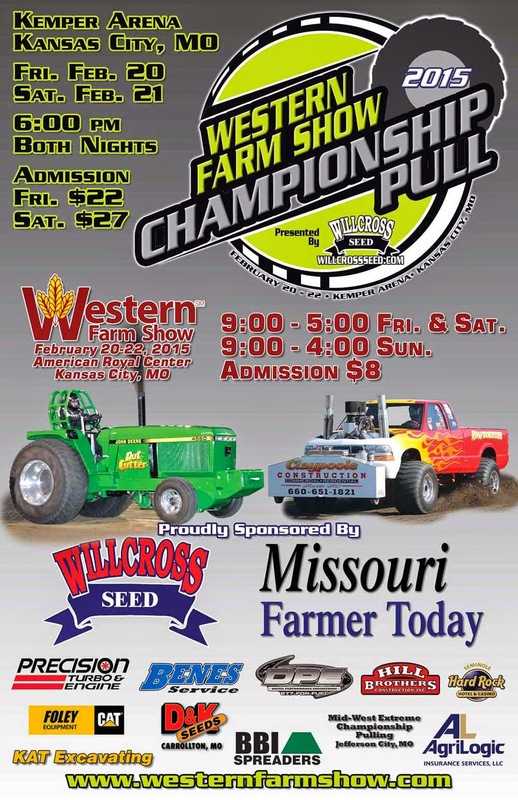 congratulations to the Roude Leiw Pulling Team ! 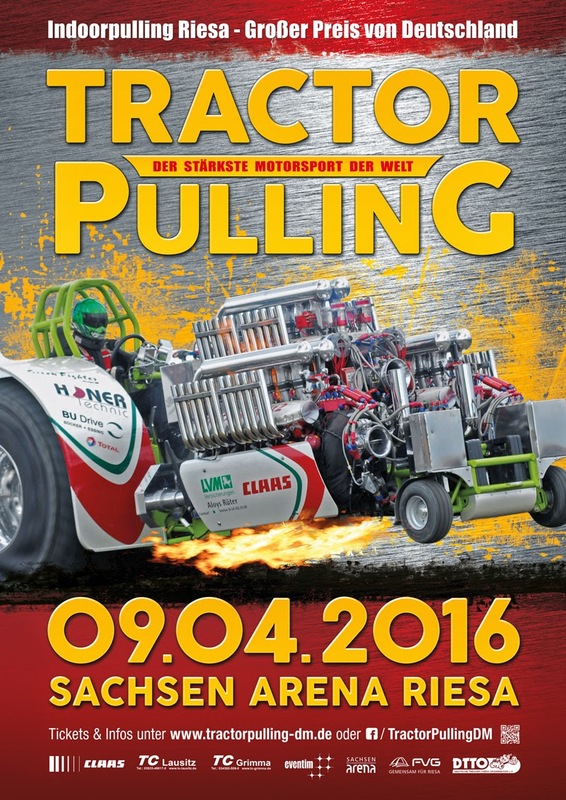 New date for the Indoor Pull in Riesa ! 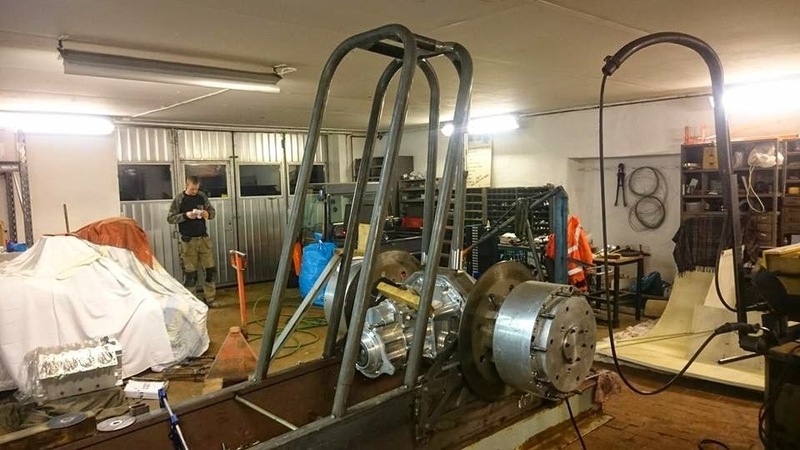 The XL Pulling Team from Höllviken in Sweden, are building a new light modified (2.5t) tractor. 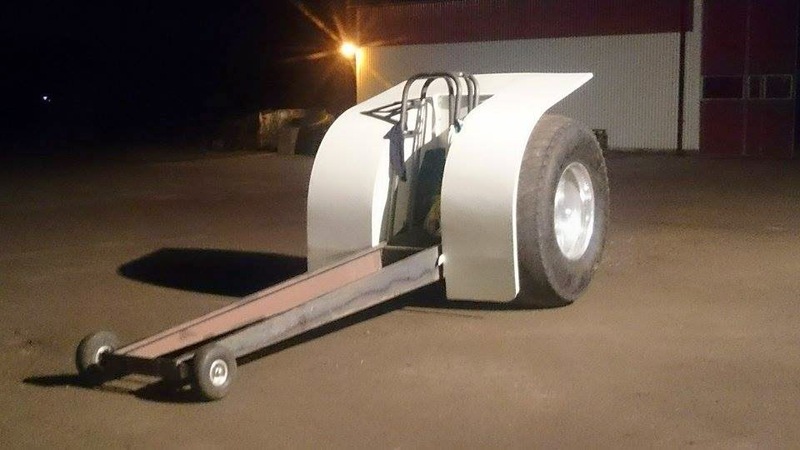 The new light modified tractor gets a Domex wedge frame with a home made ROP, a Humpco rear axle and a Humpco gearbox. 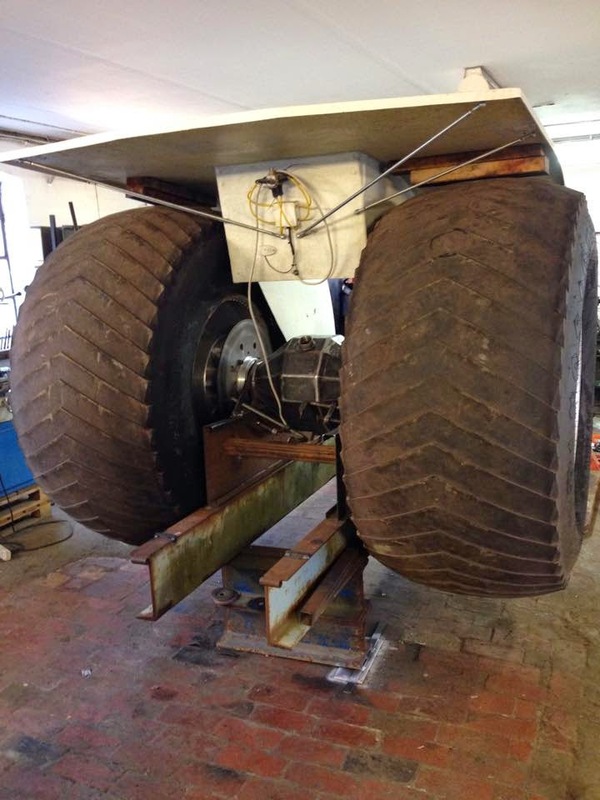 The hub reductions of the rear axle are from Caterpillar. 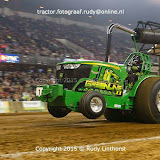 The tractor will have 2 BAE V8 Hemi engines with 14-71 Kobelco blowers, Veney scoops and a twin pumps fuel system on methanol. 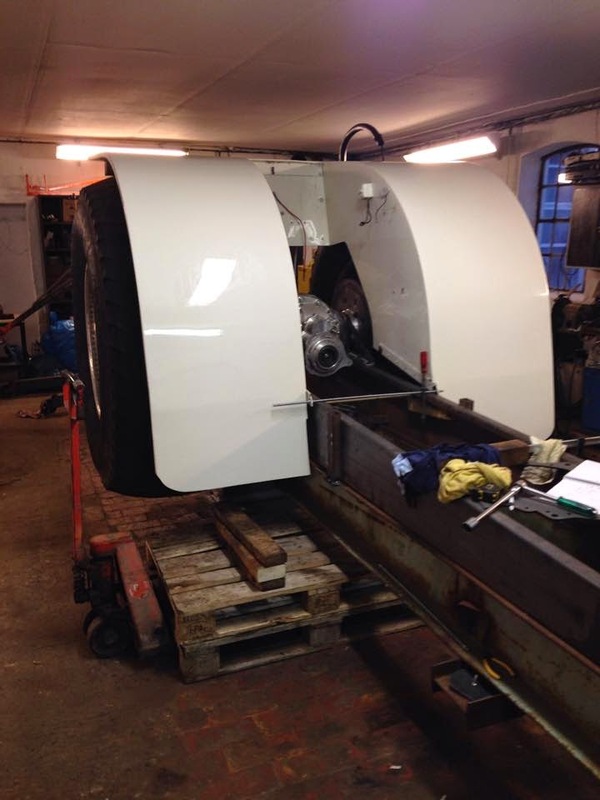 The new XL gets a set of new rims with new Firestone Puller 2000 HP tyres. 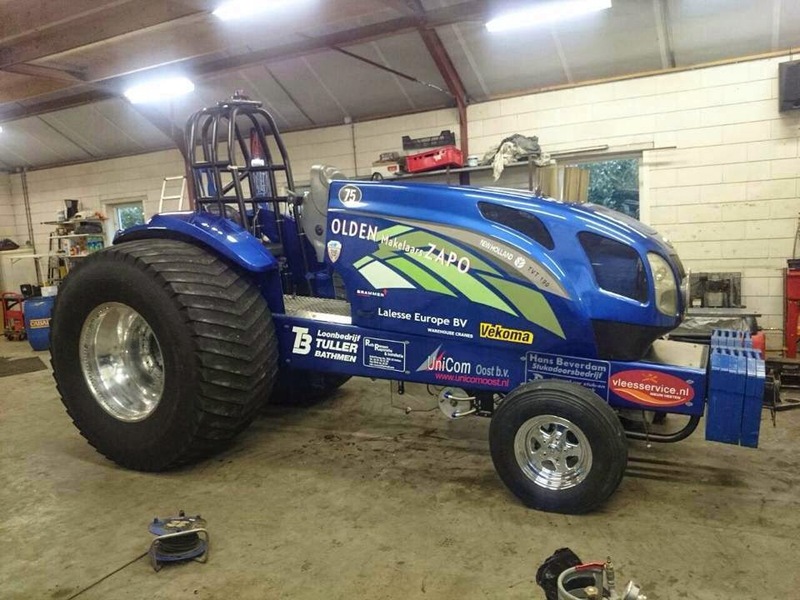 The fenders of the light modified tractor are made from glass fibre. The Team will compete in the Swedish Championship and in Euro Cup this year. 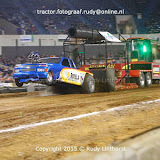 The first start is planned for the 3rd of May 2015 at the Euro Cup event in Brande, Denmark. 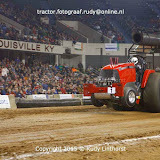 The New Holland Super Stock tractor called ,,Zapo´´ from Bathmen, in the Netherlands got a few changes during the winter. 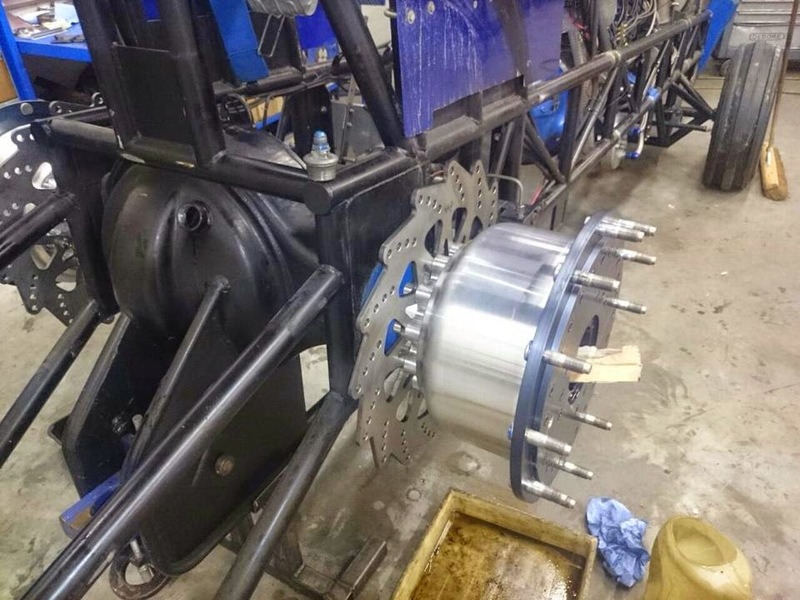 The rear axle of the tractor got some new lighter aluminium planetary, new lighter aluminium planet carrier and some new brake discs. 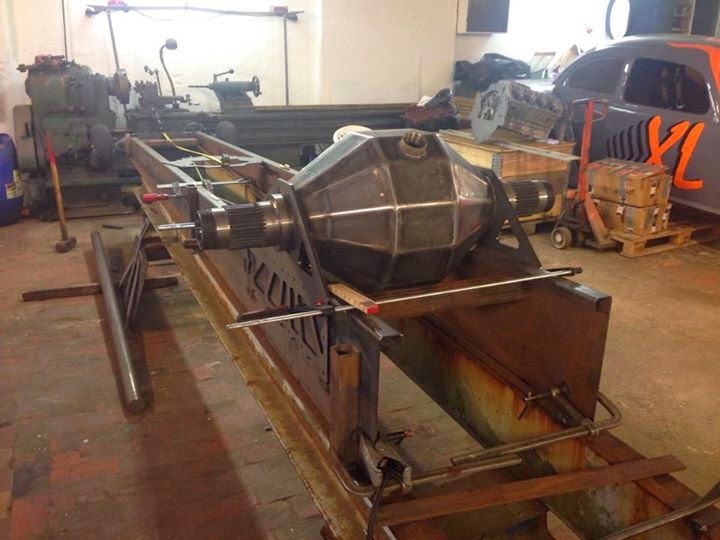 All new parts of the rear axle were constructed and drawn by the Zapo Pulling Team. 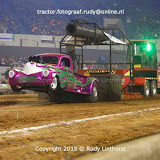 The new parts were manufactured by Van der Waal pulling parts. 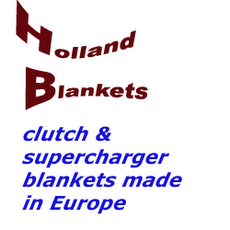 Also, the team has a new main sponsor this year. The Zapo Team sign a 3 year sponsor contract with Olden Makelaars. 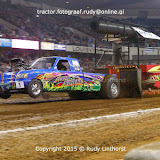 Olden Makelaars is a real estate sale society for acgricultural land. 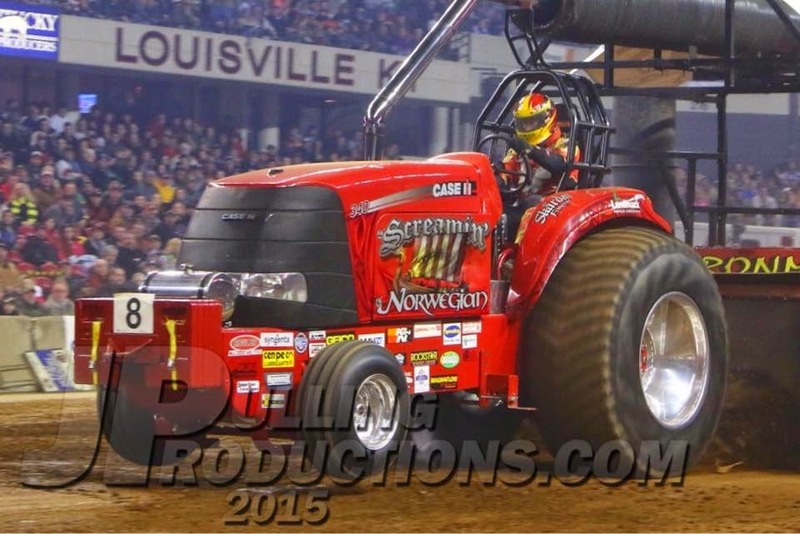 Also, the super Stock tractor got a new design. 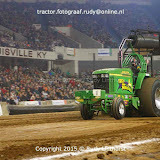 The Team will compete with their Olden Makelaars Zapo (new name of the super stock tractor) in the Dutch Grand National Championship and in the Euro Cup this season. 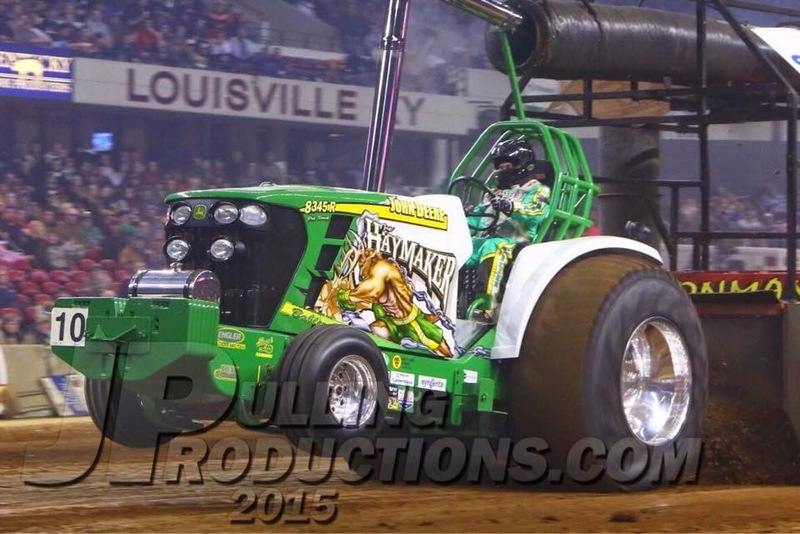 European Superpull 2015 competitors are known ! 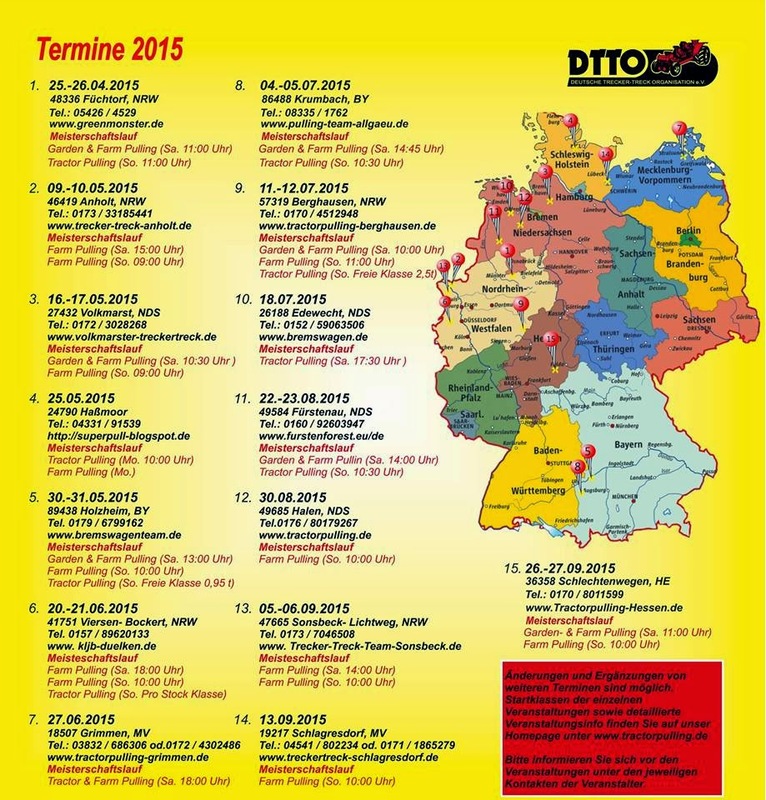 Euro Cup 2015 competitors are known !